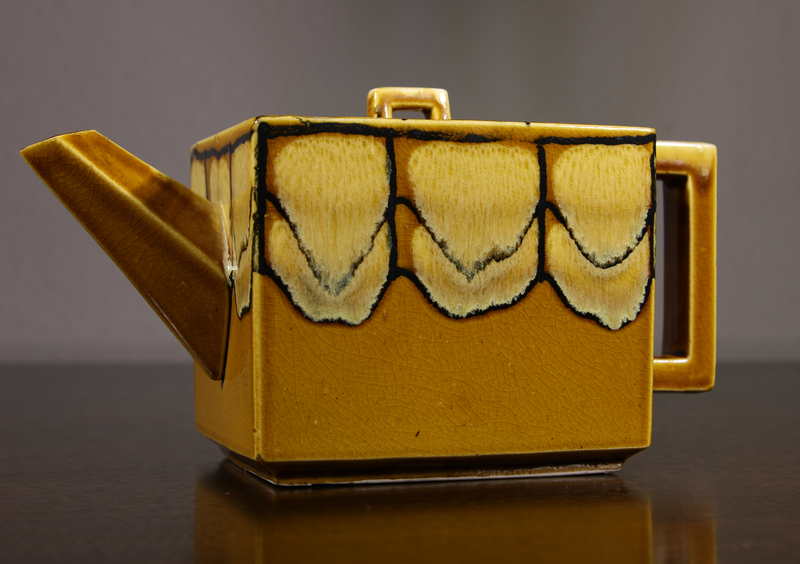 This is a beautiful and very unusual square drip glazed teapot, made in Japan presumably around 1950’s in the Art Deco style. 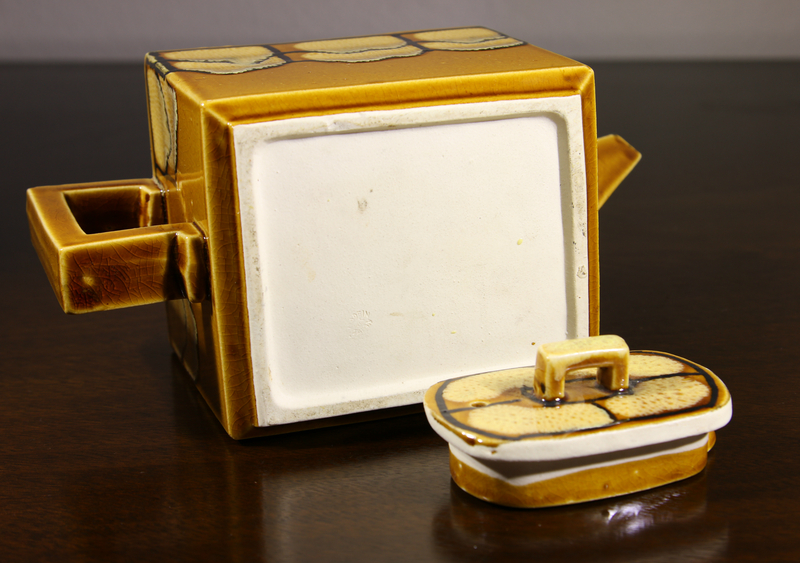 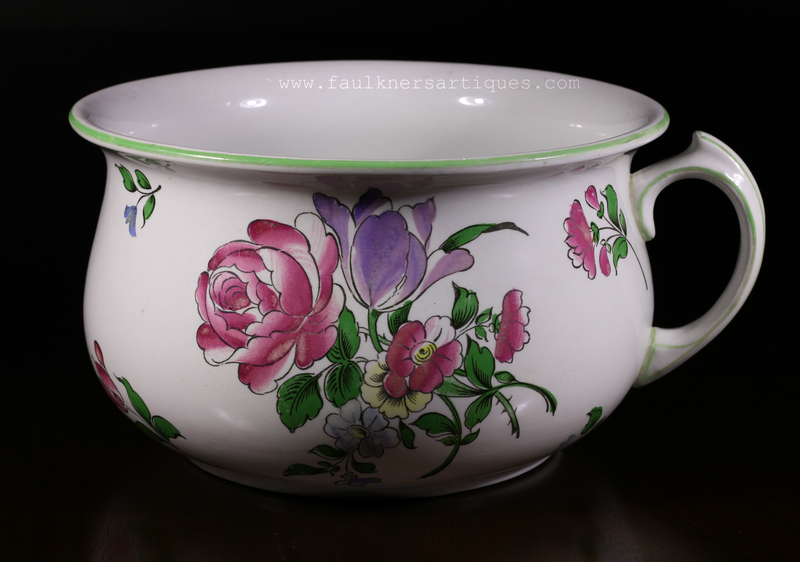 Perfect condition, a stunning addition to your collection! 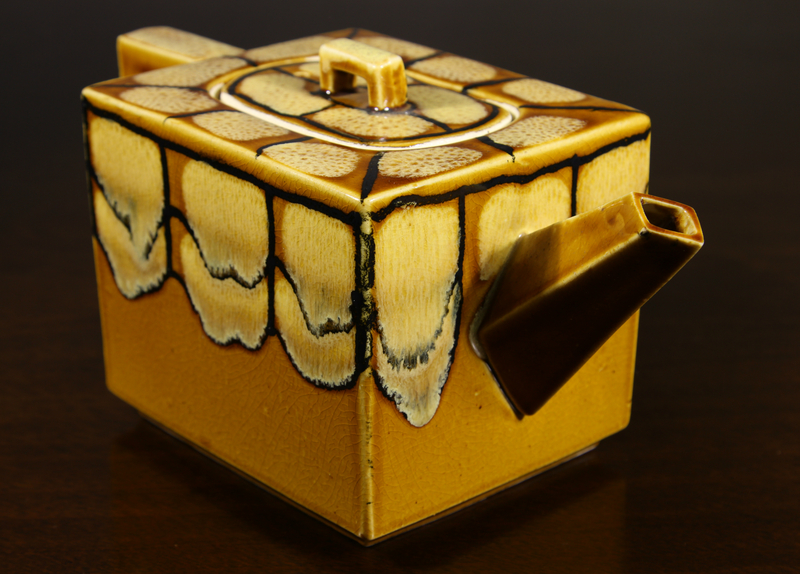 The teapot measures 9.5″ at the longest point (from spout to handle), 4.5″ wide, and 4.5″ tall.